When two skill sets match, it would definitely be an unstoppable joyride to success. 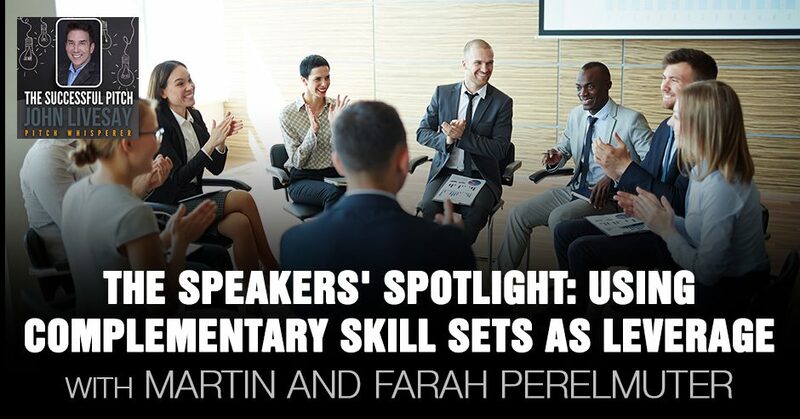 It is the awesome secret sauce of entrepreneur couple Martin and Farah Perelmuter, Founders of Speakers’ Spotlight – a speakers’ bureau on a mission to change the world by helping clients put the right speaker in front of the right audience at the right time. Having taken the leap of faith to entrepreneurship, the power couple shares how they came up with their business, the value of complementary skill sets, and the concept of due diligence. Firm believers of building a business on trust, Martin and Farah tip us with the lessons they learned from the success of their first business and how they were able to apply it to the Spotlight Agency. On this episode, I have not one but two guests, Martin and Farah Perelmuter. They took an entrepreneurial leap of faith back in 1995. They started Speakers’ Spotlight with a strong belief that the needs of conference organizers, meeting planners and speakers could be served in new and better ways and that speech can be a catalyst for positive change. They also believe that if they built this business on a foundation of trust, then the strength of relationships with clients and speakers would ultimately determine their success. They literally started in a spare bedroom in their apartment where they shared a desk, a phone and a computer. They had no clients, no experience, no staff and no money, but they had a clear vision and a strong belief that with a lot of hard work and a little luck, they can make it a reality. Since that time, Speakers’ Spotlight has grown into the world, one of the world’s largest and most respected speakers’ agencies. With the best team in the industry and an incredible roster of speakers, they are proud to have raised the bar of professionalism, service and integrity to a new level. Welcome to the show, Martin and Farah. Thanks for having us, John. I love to ask people their story of origin and I just hit the tip of the iceberg. Let’s start with what came first, the romance or the business idea? I fell in love with Farah long before the business was even a seed of thought in my head. Complementary Skill Sets: People who have complementary skill sets are the best cofounders. How did you guys come up with it? You have your own separate careers, but you were together as a couple and then said, “We want to work together?” Tell us how that all came about. Martin was practicing law and I was in advertising and marketing. One day my uncle came to me and he told me that he wanted to be a speaker. He asked me if I would work on his promotional materials. If I can help write them and design them. I said to him, “I would love to, but what’s a speaker?” I was in my early twenties. I had never seen a speaker. I didn’t realize that there was a whole world out there of professional speakers who spoke and got paid for it. I said to him, “Before I start working on your materials, I really need to go see a speaker.” I ended up seeing a whole bunch of them and I got involved in the speakers’ world. Martin and I ended up doing a year of research in our spare time. We recognized that there was a real opportunity out there to start our own business and that’s how it all started. Was it easy or hard to convince Martin to leave his legal career and do this? That’s the easiest decision I’ve ever made. I had already made the decision to leave the practice of law. I decided it wasn’t for me and I’ve been trying to figure out what to do next. We were experimenting, doing some research on the side while we were working and trying to understand the industry. Then it got to the point where we needed to get married first. Farah’s the oldest of three daughters and the first in her family to get married among her siblings. It was a big wedding in Farah’s hometown of Winnipeg, and there were about 300 people at the wedding, 293 on her side, seven on my side was the final count. She grew up with a very big family. I grew up with a tiny family and her parents, I think had probably told all of their friends and relatives that she was marrying a nice boy who had a good job as a lawyer. I had to stay in the practice of law until after the wedding so that at least we could keep that charade going through that. A few weeks after we got married and came back from our honeymoon is when we both quit our jobs and started full-time doing this business together. It was a bit of a scary moment because we went from two incomes to zero basically overnight, but we had put a lot of thought and planning into it and off we went. It really is a leap of faith and faith in yourself. In a very short amount of time, we got married, we moved into our apartment, we quit our jobs and we launched Speakers’ Spotlight. If you ever look at one of those lists of most stressful things to do, a change of job is one, change of relationship status and moving is one of the most stressful things. We did them all basically at the same time. If we can survive this, we will survive anything. We were so happy. We hated our jobs so much and we were so excited to start our own and start the whole entrepreneurial journey. What’s so fascinating is people who have complementary skill sets are the best cofounders in my observation and experience. The fact that you have this advertising and marketing is a big part of making sure your own website and how you present the speakers comes across. 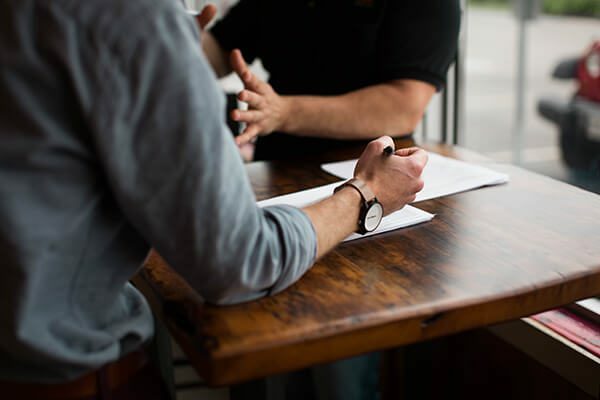 A big part of your business are contracts and making sure that’s all done properly and everyone is living up to what’s promised in the contract. If the client promises to have a projector there for the slides and there isn’t one, that can be a problem and vice versa. Your legal background comes into play on both sides there. Complementary skill sets are the key thing. It took us about six months of working together to figure out what our relative strengths were and create our roles so that they were quite distinct. I think for the first six months or so, probably 90% of what we did overlapped and then after that, it was probably less than 10% where we realized that we both had separate strengths and we started playing more to those strengths. That’s when we started to see things, I wouldn’t say take off at that point, but progress in the right direction. Anyone who started their own business knows that one of the keys to success is getting clients and selling yourself. Especially in this industry that you’re in, there’s a lot of competition, which is fine, but you have to come up with some things that make you different and you’re able to articulate them so clearly on your website. I want to go over them because I think everyone is going to be able to say, “How can I apply this difference that’s working so well for Martin and Farah to my own business?” Ideally, people will understand your own branding better and what you’re bringing to the table. Let’s talk about the first one, which is this concept of due diligence and how do you decide who’s going to be fortunate enough to be in your roster because your reputation’s on the line as well. I can say that when we first started, we found eighteen speakers who felt sorry enough for us to let us market them and represent them. It was tough going in the early days. Even those eighteen were all excellent speakers, we really tried to identify who some of the top speakers were in Canada at that point and try to work with them. Over time, we got to the point where in a typical year we would get over a thousand speakers a year approaching us, sending us either by email or phone or in the mail their packages or reaching out about representation. We realized early on that our reputation is everything. One of the most important things is making sure that the people that we’re representing and recommending to clients are going to be outstanding, not just in delivering a fantastic presentation, but all aspects of the engagement from the time that they secure it themselves right through and after the event. I can mention a couple of things that we’re looking for. Farah probably has things to add as well. Obviously, speakers need to be experts in their field and have some expertise, a point of view and have very good platform delivery skills. Those are all a given, but I always think the ultimate test is if you are going to introduce that speaker to a room of say 500 of your biggest clients. It was an industry-type gathering or a client event, how would you feel about making that introduction? Would you be incredibly proud to introduce them and excited to unleash a speaker on that audience or would you be introducing them and may be heading for the exits because you aren’t exactly sure how it was all going to go down after that? If the answer is the latter, then they shouldn’t be on the website. They shouldn’t be on the roster at all. I really believe that we’ve got to be incredibly proud of people that we represent and feel passionately that they can make a difference with that audience. That they can move the needle and help an audience with whatever the objectives are, whether it’s professional growth, personal growth or whatever that may be. Complementary Skill Sets: Integrity means walking your talk and doing what you say you’re going to do. In terms of their topics, we need to make sure that it’s a topic that’s being requested by our client. It’s something that’s important now. It’s something important for attendees to hear about. It’s something that is perhaps newsworthy. We’ve worked with a lot of publishers so we know beforehand what will most likely be a big book in the marketplace. We know where the buzz is going to be. We often get to read those books first and we can sometimes get a heads up on those big authors and speakers. Also, many of our speakers are authors too, so we know what books they’re going to be working on. We can let our clients know this is going to be a topic that you’re going to be interested in and you may want to think about the speaker ahead of time. Also, if we know that a big book is coming out and we know the seats are going to go up, we’ll try to secure that speaker before that happens to our clients. It’s about relationships. It’s about knowing our speakers and our clients well. It’s a partnership. You both have said so many great things here. Martin, the thing that jumps out for me is this nice alliteration about proud and passionate of what you’re offering. Farah, your insights are fascinating about the inside scoop of a new book that’s about to come out and then how you can capture that trend for your clients and possibly even get them at the current rate before all the buzz and demand comes when the book comes out. There are really fascinating strategies there. Then this other difference that you have, which I think is very interesting is no-commission sales agents. Your team is incentivized to do what’s right as opposed to the most expensive thing and that must pay-off a lot with going back to one of your cultural words of integrity. Do you have a story around that where you put your clients’ best interest in mind first and how that’s paid off for everybody? I don’t know if we even have a specific story because it’s truly something that we do every day. The early days of the business, when it was just Farah and me for the first several years and then we hired our first employee. In terms of client-facing sales point of view, it was mostly Farah and me on the marketing side for the first few years. We knew we were going to do the right thing and we were really playing the long game. It was all about building trust and long-term relationships. When we started to hire salespeople, one of the things we wanted to ensure was that this culture that we had already been building around long-term relationships, trust and integrity was maintained. It wasn’t really a brilliant brainstorm. It was, “How do we compensate people fairly but also ensure that they’re doing the right thing?” I’ve always had this belief that the most expensive speaker for an event is not necessarily the best speaker for the event. You want to listen to what the client is looking for, what their objectives are and make a recommendation based on who you think will have the biggest impact regardless of fee. We don’t even call them salespeople here because I don’t love the term, but when we started hiring people to work directly with clients and making recommendations, it’s one thing if we say, “Recommend the best speaker for the job, not the most expensive.” If they get compensated differently based on the fee, there’s a disconnect. Even though I think the best sales professionals will still do the right thing and not be motivated by the size of the commission, it really disconnects. It can create a bit of a problem if we’re saying one thing but then compensating people on something else. Essentially we decided from the time we hired our first salesperson that what we’re going to do is incentivize them based on the number of engagements that they booked, but not tie it to the fee. Everybody has a target of the number of engagements that we hope and expect that they can book in the year, but it doesn’t matter what the fee is. A booking is a booking. That way, the incentive is to help the client find the right speaker because we know that if we do that, then the chances of that speaker working with us again in the future goes up significantly. It wasn’t a brilliant brainstorm. It’s just the way we do things from the beginning. It made common sense to us, but the surprising thing is in speaking with a lot of people in the industry. I’m not aware of anyone else that does it that way. In fact, I’ve had people in the industry say, “How does this exactly work? I don’t understand how your salespeople are motivated if they don’t get a commission.” It is unusual, which is one of the advantages of starting a business when you have no idea what you’re doing. You don’t know the right way to do things, so you do things based on what makes sense, based on your values and so forth. That’s the way we’ve been doing things since day one. Another thing is our team is very collaborative, so they work together quite a bit. If someone’s working on a client and they’re not quite sure what the right fit is, they’ll often ask other agents in the office and they’ll come together. They’ll talk about similar industries and other clients within that industry. There’s a lot of brainstorming and collaboration going on. It’s very much a team. You really have defined what my definition of integrity is, which is walking your talk and doing what you say you’re going to do. The fact that you’ve set up your sales team not to be commissioned for the highest fees because you said that’s not your goal. Your goal is to get the best speaker regardless of the fee, then you’re walking your talk. That’s a big point of difference for people and then it leads right into your third big difference, which is this collective experience. When people are engaging with Speakers’ Spotlight, they’re not just getting one person. They’re getting the collective mindset of everyone there, that the team is collaborative. That comes from, “If I win, we all win,” and creating a culture of that, which I think is so important in whatever business you’re in. Your fourth one, which I’m really fascinated with, is you manage the details and mitigate the risk. For everyone, many times when you were talking about what makes you different than everybody else, you’ll just state facts or features. What Martin and Farah have done here is they talk about the benefit to their potential client of mitigating the risk by managing the details. That is such a great example. Are there any stories of where a speaker’s flight got canceled or delayed and how you didn’t depend on the speaker to figure it out? Do you guys help the speaker? I’ve got one that comes to mind. Unfortunately, it doesn’t happen very often. We’ll book on average in the last few years about 2,000 engagements a year. Unfortunately, we can probably count on one hand a number of times that something happens. It could be a serious illness. It could be unforeseen travel delays, but it doesn’t happen often. One of the things that we tell our clients is over 99% of the time, the speaker’s going to be there. Everything’s going to go smoothly and it’s all good. You don’t have to worry too much. However, one time out of every 300 or 400 engagements, something does happen. If that’s your one event, then it doesn’t matter. It’s a rare occurrence, it’s your event. The one that comes to mind for me is the blackout that happened maybe ten or twelve years ago, where the entire Eastern Seaboard lost power and everything was shut down. We had a situation where there was no power in the office. There was no power anywhere and our computers were down, everything was down. We started flipping through files and tried to see if there was anything coming up that we needed to notify a client about. It was in August. Fortunately, it wasn’t a super busy time of the year in terms of conferences. It turned out that we did have a conference and we had a speaker booked for the next day at about 12:00 noon. When we looked in the file, we saw that at that moment when literally the lights went out, he was on a plane from the Western part of the country flying into Toronto. We didn’t know where this plane was going to land, if it was going to land to Toronto or somewhere else. We immediately called the client on his cell phone and it was chaos. I could hear on the other end of the phone. They were in the hotel. The power had gone out at the hotel. We let them know that we were monitoring the speaker’s flight. However, we probably needed a backup plan just in case. I reached out to another speaker that I knew that was local and was available and I let the client know that the client was familiar with his work, so they were very happy with him as a backup plan. Long story short, the speaker’s flight was diverted and he landed in a place called Thunder Bay, which is about a twenty-hour drive from Toronto. He was hoping to get on a flight later that day or perhaps the next morning, but there was no guarantee he was going to make it. We had speaker number two, his name’s Mike Lipkin and Mike was on standby. He talked to the client, the client briefed him and he was ready to go and he said, “I’ll be at the event, ready to go. Even if the other speaker is able to show up, don’t worry. I’m happy to be there.” Mike showed up at the hotel the next morning. I went down there as well. I was on the phone with the other speaker who was still not sure if they were going to make it or not and they were still stuck in Thunder Bay. I lost touch with the speaker and I didn’t know where he was. We couldn’t reach him. We were counting down, there were maybe 30 minutes until the speaker was supposed to go on. If you ever meet Alvin and have a chance to see him speak, you’ll know why. He’s an incredible person. It was ironic if the person whose message is, “There’s no such thing as can’t,” can’t make it to the engagement but he did. He made it. He proceeded to get a standing ovation. It was just an incredible way to end the conference. The nice thing was on the spot the client hired Mike to keynote their conference because they were so impressed with the first twenty minutes. It all worked out. Things don’t always work out perfectly. That was an example where we thought afterwards if they hadn’t worked through an agency who was there partnering with them. Pulling on all of our resources and collaborating with our own team with our speakers and so forth, then it would have been a very different situation. That to me is my favorite story about mitigating risk, managing details, collaboration and so forth. 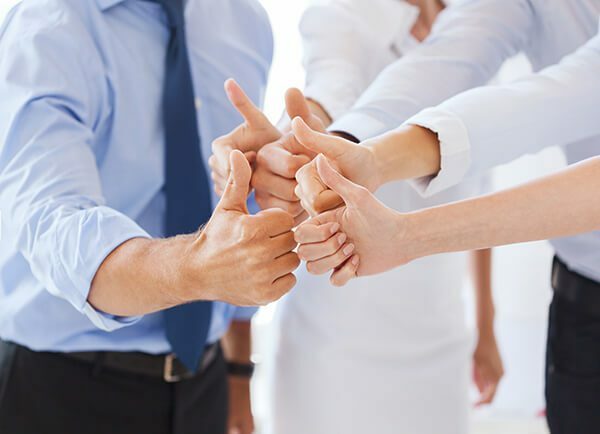 It says a lot about the team that you have, not just the team working for you, but the team of speakers and that willingness to do what it takes to make the client happy and that trust. That’s my big takeaway. Plus, I love any kind of story. I have a big emphasis on storytelling myself, on a little bit of drama and the way you described running in at the last minute and almost parachuting in. All that is what makes a good story and there are a lot of takeaways besides mitigating the risk and the details. If the quality of the speakers we have would go that extra mile even if they weren’t being paid and even if they had to back off at the last minute, that’s collaboration. Sometimes with two speakers sharing the stage, if they haven’t rehearsed or practiced together to have that be cohesive, it doesn’t always work. The big resolution of that was the other guy getting hired, but the irony of talking about there’s no such thing as can’t and, “I can’t make it to the event,” of course, he got a standing ovation. Complementary Skill Sets: The great speakers are the ones who are really focused on the client and the audience and not just on themselves. He made it. That was the amazing thing. In the back of my mind, I was thinking, “What if he doesn’t make it?” One of the things that you asked me in terms of what we’re looking for in speakers and the due diligence part is, we are looking for team players and people who are good people. Not just great speakers, but we’re fortunate that I think everybody that we work with, we feel we can count on. They’re good people that care about not just themselves looking good on stage because that’s not what they’re there for. It’s really about making the client look good, putting the client first, putting the audience first and being there to serve. That that’s what the great speakers do. There’s always a little bit of ego involved. You can’t get up in front of a large group of people without having a healthy dose of self-confidence, but the great speakers are the ones who are focused on the client and the audience and not just on themselves. I also want to mention that one other thing that makes us a little different is we don’t have any contracts with our speakers. When we sign on a speaker, we fully talk about what the relationship entails, what the objectives are and what we both want to get out of it, but then it’s all on a handshake, integrity, honesty and transparency. There’s no contract. We saw an opportunity that could be filled. What happened was we represent many high-profile personalities and celebrities. Over the years, aside from hosting and speaking, other opportunities came our way. In about 2006, we started a division at Speakers’ Spotlight called the Celebrity Division. Within that division, we started doing these extra types of projects. There were celebrity endorsement projects and spokesperson roles and some TV. What happened was that division started getting bigger and bigger and we realized that it was a slightly different target market. We felt that in order to grow that part of the business properly, we should really separate it. We started a new corporation called The Spotlight Agency. That is a separate entity from Speakers’ Spotlight. It’s growing quickly and we have part of our staff looking over that business and it’s exciting. It’s some of the same staff like Lucy, the Paw-sonal Assistant, your dog comes to the office. Lucy gets to work on both businesses, I’m guessing. Lucy does whatever she’s asked. She’s very busy. She’s very busy keeping everyone’s emotions on keel during any snow storms or delays. Growing a business in the first place was not something we intended to do. When we started Speakers’ Spotlight, we did not have a huge aspiration. Much of it was a lifestyle change. We saw each other in our previous jobs and we wanted to do something together and take control of our careers and our lives. We thought the best case scenario is one day maybe we’d have three of four people working with us and we would get it out of the apartment. It organically grew. We’ve got about 34 employees now. It grew beyond what we had expected. With Spotlight Agency, it wasn’t something that was initially planned, but it fit really well. I’m sure you’re familiar with Simon Sinek’s work around Start with Why. Our why with Speakers’ Spotlight is this idea that a speech can change the world. If we get the right speaker in front of the right audience at the right time, that’s when the magic can happen. I’m not so naive to think that people are going to walk out of a speech and their entire life is going to be changed, but I do believe that it can plant the seeds that are necessary to make some small differences, whether it’s at work, at home or in their community that can lead to positive change. That’s the goal behind Speakers’ Spotlight. With The Spotlight Agency, the businesses are similar in that they’re matching talent with organizations or brands. One of the things we realized is that you can affect positive change in other ways too, not just through a keynote. It might be a marketing campaign. It might be a spokesperson campaign. Those kinds of things can have a profound impact as well. That was what made it an easy decision once we decided to move forward was it really fit well with our core beliefs around Speakers’ Spotlight. It’s similar businesses yet as Farah mentioned, very different in the sense of who the clients are, the whole process of putting deals together is quite different. The companies are quite distinct and yet share common values and beliefs. I think it’s brilliant. It’s a nice use of skill sets and connections while expanding your brand that allows you to still stay to your core business and then have a brand extension that allows other skills to come into play and possibly different talent. Some people crossover and some don’t. It’s what I would see happening. It’s interesting to have one business that’s 24 years old and another business that’s pretty new in some ways and it’s in rapid growth. It’s really interesting to watch. One thing that I find that makes us really different from a lot of businesses out there is that we never borrowed any money and we never went into debt. Also, it’s the type of business we have, but it’s a service-based business and we had it out of our apartment. We didn’t hire people until we needed people and we grew it slowly. We bought what we can afford. We never borrowed from the bank or from our parents. We didn’t have that huge stress on us. We’re in some ways within the same with The Spotlight Agency. The Spotlight Agency are the same offices and we didn’t hire a ton of people out of the gate. We share some of the same staff and we’re doing it slowly and properly. What a great takeaway. You’re not under stress with the decisions you make because you do not have to pay back a debt in the culture you created and not living beyond your means or spending beyond your means as a business. All these startups that get millions of dollars and then they blow through it because they have it as a very different mindset. That’s what allows you to work with top clients whether it’s Coca-Cola or McDonald’s or all kinds of people. Are there any last words of advice or thoughts that you want to share with the people? I think this applies to anyone but particularly younger people. The two most important decisions that people make in their lives are the choice of career or job. One is what you choose to do for a living and the second is who you choose to spend your time with whether that’s your spouse or partner or someone who doesn’t have that close friends. I really believe that if you get those two decisions right, your life’s going to be pretty good. If you love what you do and you love the people that you spend the most time with, things will be great. Complementary Skill Sets: It’s important to be not just happy but to be challenged, to be fulfilled, and to feel that we’re making a difference. If you love your spouse and you hate your job, you’re probably not going to be happy all the time. If you love your job and hate your spouse, you’re probably not going to be happy. I believe that if you get those two decisions right, there are no guarantees or anything, but that puts you on a great course. I really think that those are two decisions that we have control over, in particular on work and in quitting. Having gone to law school, putting all that time in, getting hired at a prestigious firm and walking away from that, wasn’t an easy decision at the time, but it was the smartest decision I made because I knew that it wasn’t for me. It’s for other people that might want that life and that’s great. I have a lot of respect for people who do that work. I think knowing yourself and knowing subjectively what is going to get you out of bed in the morning and want to go. We spend a lot of time at work and it’s important to be not just happy but to be challenged, to be fulfilled and to feel that we’re making a difference. That is critically important. If you’re doing something that you don’t love, I really think people, if they can, you owe it to yourself to try to find something that’s going to be more meaningful and more fulfilling. The first one is that to achieve success, there aren’t shortcuts. You can’t beat the system in creative ways. You have to work hard work, you have to grind it out and you have to work and make it happen and then hopefully it will become easier. They have to put the time in. Those are two wonderful tweets. Love what you do and love the people you’re spending time with if you want to be successful and happy. There are no shortcuts to achieve success, put the time in. One last thing is to take the high road and be a nice person. That is an amazing secret sauce. If you’re easy to work with and people like working with you on and off the stage, then they’re going to rehire you, refer you, all that stuff. People just assume that everyone takes the high road and as a good person, but if you are, it can be the difference between who they pick sometimes. I can’t thank you both enough. What a pleasure to get a sense of your relationship, your business, your family, your dog, the people working with you and the stories. It was all great. 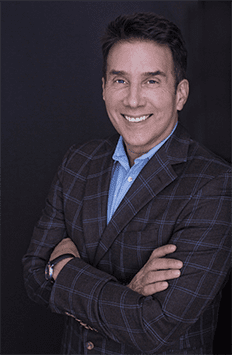 These are very useful information and I know that you’re going to be as successful with The Spotlight Agency as you are with your business, the Speakers’ Spotlight. Congratulations to you both and thanks for being on the show. It was really a pleasure to chat with you.